Dr. Silvana Gonzalez Reiley is a board-certified neurologist. She and her team specializes in the diagnosis and treatment of diseases associated with the nervous system, which may affect a patient’s brain, spinal cord, nerves and muscles. Dr. Silvana Gonzalez Reiley founded a practice which focuses on patients suffering from a variety of neurological conditions including those experiencing chronic headaches or migraines, chronic back or neck pain, dizziness, numbness or tingling, weakness, movement or vision problems, seizures, foggy thinking or sleep issues. 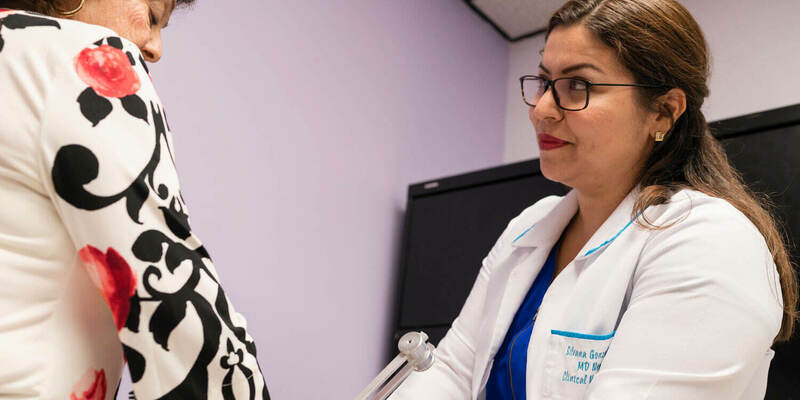 Dr. Silvana Gonzalez Reiley also cares for patients with multiple sclerosis, Parkinson’s disease, ALS (Lou Gehrig’s disease), brain tumors, stroke, and other neurological disorders. Friendly, attentive, accessible neurology service that is the first choice for patients and referring physicians. To accomplish this goal, Dr. Silvana Gonzalez Reiley built her practice upon 3 key values that allow us to provide the highest level of medical care and compassion for our patients. as we expect to be treated: integrity and honesty are paramount to our practice. simple: everything we do is thoroughly explained in language you can understand. powerful together: we focus on collaboration and teamwork with our clients, partners and employees to generate the most powerful solutions. Neuropathy is not one single disease, but several kinds of conditions resulting from damage to one or more of your Peripheral Nerves. Stroke is ranked as the third leading cause of death in the United States. It can happen to anyone at any time. It occurs when blood flow to an area of brain is cut off. Multiple sclerosis or MS is a disease that attacks nerve tissue in the brain and spinal cord, which damages and destroys it. Alzheimer’s disease is by far the most common cause for dementia in the United States. It is a slowly progressive disease of the brain.